At the book launch, we gathered with the authors, their families, and supporters to celebrate this powerful book. Each author in attendance took the stage to tell the audience why they wrote what they wrote. Their stories were diverse and dealt with the various ways in which immigration impacts family, identity, and politics. From the beginning, the authors aimed to inspire and to educate. On the very first day of workshop, one year ago, the authors made it clear that the book was aimed at two audiences: other immigrant youth who experience similar hardships, and Americans who did not know or understand the immigrant experience. The authors wanted to encourage their fellow immigrants to “seguir adelante,” (continue forward) through personal, community, and political challenges. The authors also wanted the general public to know that Latino immigrants are so much more than the worst stereotypes. 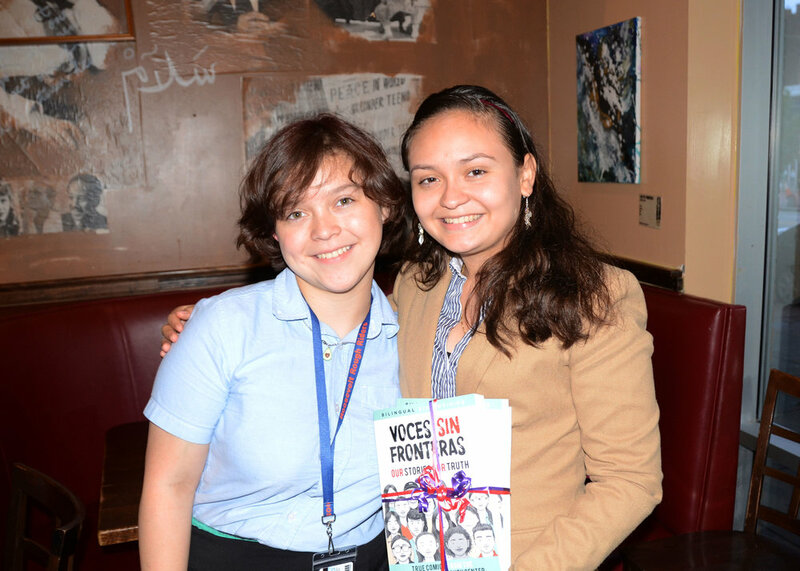 Throughout the writing process and their presentations last night, the authors of Voces Sin Fronteras have demonstrated courage, vulnerability, and creativity in writing, drawing, and sharing their stories. 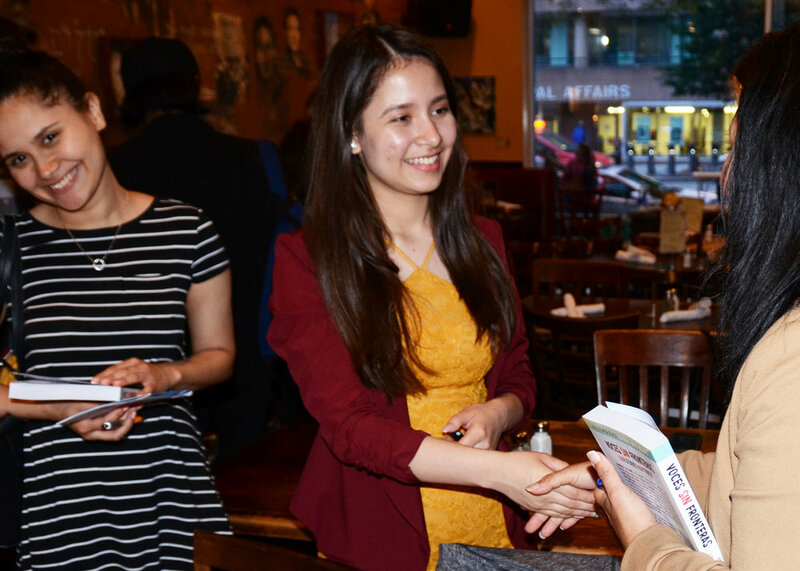 We were delighted to share this event with the authors, their family, the Latin American Youth Center, and everyone who came out to celebrate this exciting moment and exciting new book. You can buy Voces Sin Fronteras here.